Elly Griffiths is the author of the Dr Ruth Galloway mysteries. Her books have been shortlisted for the Theakston's Crime Novel of the Year three times and in 2016 she won the Crime Writers' Association Dagger in the Library award. Her real name is Domenica de Rosa. 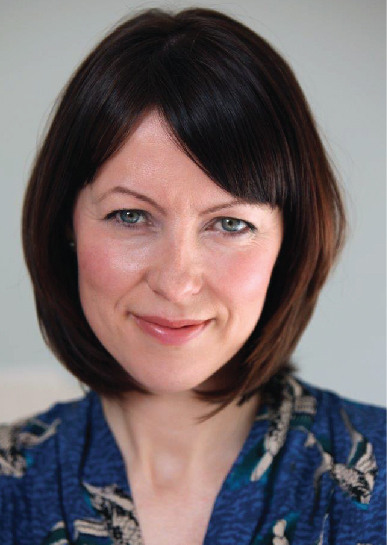 Colette McBeth is a former BBC political correspondent and author of three critically-acclaimed psychological thrillers. Her latest, An Act of Silence, was shortlisted for a Silver Dagger award. Melanie McGrath is co-founder of the Killer Women and an award-winning writer. Author of the acclaimed Edie Kiglatuk series of Arctic mysteries, she also wrote the bestselling family memoir Silvertown, and the psychological thriller Give Me The Child. Julia Crouch is the author of five internationally-published books, including Cuckoo and Her Husband's Lover. She coined the phrase 'domestic noir' to describe her particular sub-genre of crime fiction and writes in a shed at the bottom of her garden. Graham Bartlett is the former Chief Superintendent of Brighton & Hove. His book Death Comes Knocking was a Sunday Times bestseller. He advises authors and makers of television dramas on police procedure. Erin Kelly's most recent book, He Said/She Said, spent 12 weeks in the Sunday Times Top Ten bestseller lists. Her first novel, The Poison Tree, became a major ITV drama and was a Richard & Judy bestseller. Her eagerly-awaited next novel, Stone Mothers, is out in April – our guests will be the first to hear about it. Best-selling author Dorothy Koomson has written 13 novels - including The Ice Cream Girls, which was made into a TV mini-series - and most recently The Brighton Mermaid, which she worked on with Graham Bartlett. She coined the term ‘emotional thriller’ to describe her work and lives in Brighton.